The electoral map for the 2020 election, based on populations from the 2010 Census. Article Two of the United States Constitution states that for a person to serve as president of the United States the individual must be a natural-born citizen of the United States, at least 35 years old and a United States resident for at least 14 years. Candidates for the presidency typically seek the nomination of one of the various political parties of the United States, in which case each party develops a method (such as a primary election) to choose the candidate the party deems best suited to run for the position. The primary elections are usually indirect elections where voters cast ballots for a slate of party delegates pledged to a particular candidate. The party's delegates then officially nominate a candidate to run on the party's behalf. 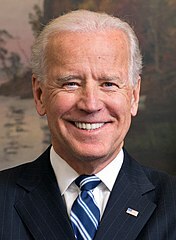 The nominee typically chooses a vice presidential running mate to form that party's presidential ticket, who is then ratified by the delegates (with the exception of the Libertarian Party, which nominates its vice presidential candidate by delegate vote regardless of the nominee's preference). The general election in November is also an indirect election, in which voters cast ballots for a slate of members of the Electoral College; these electors then directly elect the president and vice president. A bipartisan report indicates that changes in voter demographics since the 2016 election could impact the results of the 2020 election. African Americans, Hispanics, Asians, and other ethnic minorities, as well as "whites with a college degree", are expected to all increase their percentage of national eligible voters by 2020, while "whites without a college degree" will decrease. 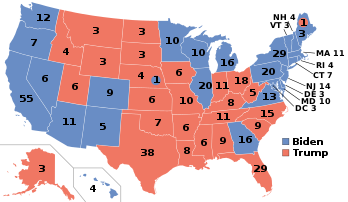 This shift is potentially an advantage for the Democratic nominee; however, due to geographical differences, this could still lead to President Trump (or a different Republican nominee) winning the Electoral College while still losing the popular vote, possibly by an even larger margin than in 2016. Additionally, Washington, D.C. may lower its voting age from 18 to 16. Legislation was introduced by City Councilman Charles Allen in April 2018, with a public hearing in June, and a vote by the end of the year. Unlike other cities with a voting age of 16 such as Berkeley, California, this would allow 16- and 17-year-olds to vote for president of the United States for the first time in 2020. Allen said that he was inspired by the high school students that participated in the March for Our Lives, which occurred at the capital in March. The presidential election will occur simultaneously with elections to the Senate and the House of Representatives. Several states will also hold state gubernatorial and state legislative elections. Following the election, the United States House will redistribute the seats among the 50 states based on the results of the 2020 United States Census, and the states will conduct a redistricting of Congressional and state legislative districts. In most states, the governor and the state legislature conduct the redistricting (although some states have redistricting commissions), and often a party that wins a presidential election experiences a coattail effect that also helps other candidates of that party win elections. Therefore, the party that wins the 2020 presidential election could also win a significant advantage in the drawing of new Congressional and state legislative districts that would stay in effect until the 2032 elections. Donald Trump is eligible to run for re-election and has signaled his intention to do so. His reelection campaign has been ongoing since his victory in 2016, leading pundits to describe his tactic of holding rallies continuously throughout his presidency as a "never-ending campaign". On January 20, 2017, at 5:11 p.m., he submitted a letter as a substitute of FEC Form 2, by which he reached the legal threshold for filing, in compliance with the Federal Election Campaign Act. Beginning in August 2017, reports arose that members of the Republican Party were preparing a "shadow campaign" against Trump, particularly from the moderate or establishment wings of the party. Then-Arizona Senator John McCain said that "[Republicans] see weakness in this president." Maine Senator Susan Collins, Kentucky Senator Rand Paul, and former New Jersey Governor Chris Christie all expressed doubts in 2017 that Trump would be the 2020 nominee, with Collins stating "it's too difficult to say." Senator Jeff Flake claimed in 2017 that Trump was "inviting" a primary challenger by the way he was governing. Longtime political strategist Roger Stone, however, predicted in May 2018 that Trump might not seek a second term were he to succeed in keeping all of his campaign promises and "mak[ing] America great again". This divide between the establishment and progressive wings of the party has been reflected in several elections leading up to the 2020 primaries, most notably in 2017 with the election for DNC Chair between Tom Perez and Sanders-backed progressive Keith Ellison: Perez was elected chairman, but Ellison was appointed the deputy chair, a largely ceremonial role. In 2018, several U.S. House districts that Democrats hoped to gain from the Republican majority had contentious primary elections. These clashes were described by Politico's Elena Schneider as a "Democratic civil war". Meanwhile, there has been a general shift to the left in regards to college tuition, healthcare, and immigration among Democrats in the Senate, likely to build up credentials for the upcoming primary election. The topic of age has been brought up among the most likely front-runners: former Vice President Joe Biden, Massachusetts Senator Elizabeth Warren, and Vermont Senator Bernie Sanders, who will be 78, 71, and 79 respectively on inauguration day. Former Senate Minority Leader Harry Reid (who will be 81 on inauguration day) described the trio as "an old folks' home", expressing a need for fresh faces to step up and lead the party. Individuals in this section have expressed an interest in running for president within the last six months, as of April 2019. Some have formed leadership PACs that function as campaign committees. The 2020 Democratic National Convention is scheduled from July 13–16 in Milwaukee, Wisconsin. Houston, Texas, and Miami Beach, Florida, were also considered to host the convention. The 2020 Republican National Convention is planned to be held in Charlotte, North Carolina, on August 24–27. This will be the first time since 2004 that the two major party conventions will be held at least one month apart with the 2020 Summer Olympic Games in between (in 2008 and 2012, the Democratic and Republican conventions were held in back-to-back weeks following the Summer Olympics, while in 2016 both were held before the Rio Games). The 2020 Libertarian National Convention will be held in Austin, Texas, over Memorial Day weekend, May 22–25. The date and location of the 2020 Green National Convention will be decided at the 2019 annual national meeting this year in Salem, Massachusetts. In a similar fashion, the 2016 convention site was announced following the party's 2015 annual national meeting. 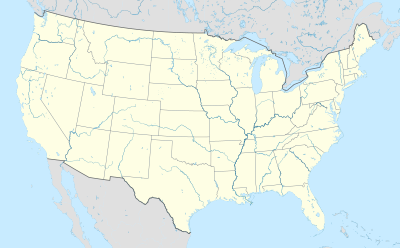 The Commission on Presidential Debates announced on April 3, 2019 the six finalist cities that could hold the three presidential debates; the cities are: Nashville, Tennessee; Hartford, Connecticut; Omaha, Nebraska; Ann Arbor, Michigan; Notre Dame, Indiana; and Salt Lake City, Utah. ^ "3 U.S.C. § 7 - U.S. Code - Unannotated Title 3. The President § 7. Meeting and vote of electors", FindLaw.com. ^ "US Election guide: how does the election work?". The Daily Telegraph. November 6, 2012. Archived from the original on November 10, 2015. Retrieved October 29, 2015. ^ Levy, Adam (August 25, 2018). "DNC changes superdelegate rules in presidential nomination process". CNN. Archived from the original on August 26, 2018. Retrieved August 27, 2018. ^ Weeks, Linton (January 25, 2013). "Forget 2016. The Pivotal Year In Politics May Be 2020". NPR. Archived from the original on October 6, 2015. Retrieved October 30, 2015. ^ Chinni, Dante (April 22, 2018). "Demographic shifts show 2020 presidential race could be close". NBC News. Archived from the original on April 23, 2018. Retrieved April 23, 2018. ^ Fox, Peggy (April 17, 2018). "Washington, D.C., may allow 16-year-olds to vote for president in the 2020 election". USA Today. Archived from the original on April 20, 2018. Retrieved April 19, 2018. ^ Campbell, James E. (March 1986). "Presidential Coattails and Midterm Losses in State Legislative Elections". The American Political Science Review. 80 (1): 45. JSTOR 1957083. ^ Sarlin, Benjy (August 26, 2014). "Forget 2016: Democrats already have a plan for 2020". MSNBC. Archived from the original on October 28, 2015. ^ Westwood, Sarah (January 22, 2017). "Trump hints at re-election bid, vowing 'eight years' of 'great things'". Washington Examiner. Retrieved February 21, 2017. ^ Bixby, Scott (February 18, 2017). "The Road to 2020: Donald Trump's Never-Ending Campaign". The Daily Beast. Archived from the original on August 6, 2017. Retrieved January 20, 2018. ^ Morehouse, Lee (January 30, 2017). "Trump breaks precedent, files as candidate for re-election on first day". KTVK. Archived from the original on January 30, 2017. Retrieved February 21, 2017. ^ Martin, Jonathan; Burns, Alexander (August 5, 2017). "Republican Shadow Campaign for 2020 Takes Shape as Trump Doubts Grow". The New York Times. Archived from the original on October 21, 2017. Retrieved October 22, 2017. ^ "Sen. Susan Collins not sure Trump will be 2020 GOP nominee". CBS News. August 21, 2017. Archived from the original on October 23, 2017. Retrieved October 22, 2017. ^ Goodkind, Nicole (October 30, 2017). "TRUMP MAY NOT SEEK RE-ELECTION: RAND PAUL, CHRIS CHRISTIE". Newsweek. Archived from the original on November 4, 2017. Retrieved November 4, 2017. ^ Kaczynski, Andrew (August 24, 2017). "Sen. Jeff Flake: Trump 'inviting' 2020 primary challenge by how he's governing". CNN. Archived from the original on October 23, 2017. Retrieved October 22, 2017. ^ Chaitin, Daniel (May 19, 2018). "Roger Stone says Trump may not run in 2020, pledges to line up challenger to Pence-Haley ticket". Washington Examiner. Archived from the original on June 12, 2018. Retrieved June 9, 2018. ^ "DONALD J. TRUMP FOR PRESIDENT, INC" (PDF). Docquery.fec.gov. Retrieved March 19, 2019. ^ Suebsaeng, Asawin (November 30, 2018). "Trump 2020 Campaign Has a New D.C.-Area Home". The Daily Beast. Retrieved December 6, 2018. ^ "Statement of Candidacy" (PDF). docquery.fec.gov. 2019. ^ Mattise, Jonathan (December 20, 2018). "Trump foil, retiring GOP Sen. Corker: 'no idea' what's next". Associated Press. Retrieved December 26, 2018. ^ Isenstadt, Alex. "Larry Hogan stokes speculation he'll primary Trump in 2020". POLITICO. Retrieved January 22, 2019. ^ a b Holly Ramer; Steve Peoples; Bob Salsberg (February 15, 2019). "Ex-Massachusetts Gov. Weld to challenge Trump for GOP nod". Associated Press. Retrieved February 15, 2019. ^ "Maryland Gov. Larry Hogan isn't ruling out a primary challenge to Trump". CBS News. February 20, 2019. Retrieved February 20, 2019. ^ Schneider, Kris (November 25, 2018). 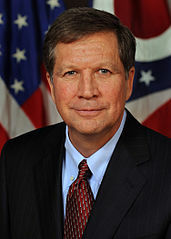 "Ohioans eyeing 2020? Kasich, Brown 'very seriously' consider runs against Trump". ABC News. Retrieved November 25, 2018. ^ Easley, Jonathan (March 31, 2017). "For Democrats, no clear leader". The Hill. Archived from the original on January 29, 2018. Retrieved January 28, 2018. ^ Vyse, Graham (April 28, 2017). "The 2020 Democratic primary is going to be the all-out brawl the party needs". The New Republic. Archived from the original on January 29, 2018. Retrieved January 28, 2018. ^ Edsall, Thomas B. (September 7, 2017). "The Struggle Between Clinton and Sanders Is Not Over". The New York Times. Archived from the original on March 26, 2018. Retrieved March 25, 2018. ^ Abramson, Jill; Aronoff, Kate; Camacho, Daniel José (February 27, 2017). "After the divisive Democratic National Committee chair election, what's next?". The Guardian. Archived from the original on March 24, 2018. Retrieved March 23, 2018. ^ Schneider, Elena (May 19, 2018). "Democrats clash over party's direction in key Texas race". Politico. Archived from the original on May 19, 2018. Retrieved May 19, 2018. ^ Schor, Elana (December 30, 2017). "Dem senators fight to out-liberal one another ahead of 2020". Politico. Archived from the original on February 3, 2018. Retrieved January 23, 2018. ^ Miller, Ryan W. (June 29, 2018). "New York's Kirsten Gillibrand, Bill de Blasio echo progressive calls to 'abolish ICE'". USA Today. Archived from the original on July 2, 2018. Retrieved July 4, 2018. ^ Janssen, Kim (October 26, 2017). "DNC chair Tom Perez: Expect a 'double-digit' field in 2020 presidential primary". Chicago Tribune. Archived from the original on January 29, 2018. Retrieved January 28, 2018. ^ Scher, Bill (November 24, 2017). "Why 2020 Will Be the Year of the Woman". Politico. Archived from the original on June 23, 2018. Retrieved June 23, 2018. ^ Huey-Burns, Caitlin (January 9, 2018). "Oprah Run in 2020 Entices Leaderless Democrats". RealClearPolitics. Archived from the original on January 9, 2018. Retrieved January 28, 2018. ^ Zengerle, Jason (December 27, 2016). "Who Will Do What Harry Reid Did Now That Harry Reid Is Gone?". New York. Archived from the original on January 29, 2018. Retrieved January 28, 2018. ^ Korecki, Natasha (February 1, 2019). "Cory Booker launches bid for president". Politico. Retrieved February 1, 2019. ^ Karson, Kendall; Gomez, Justin (April 14, 2019). "Pete Buttigieg, little-known mayor turned presidential contender, makes historic bid". ABC News. Retrieved April 14, 2019. ^ J. Weber, Paul (January 12, 2019). "Former Obama housing chief Julian Castro joins 2020 campaign". Associated Press. Retrieved January 12, 2019. ^ Delaney, John (July 28, 2017). "John Delaney: Why I'm running for president". The Washington Post. Retrieved July 28, 2017. ^ Kelly, Caroline (January 12, 2019). "Tulsi Gabbard says she will run for president in 2020". CNN. Retrieved January 11, 2019. ^ Stracqualursi, Veronica. "Kirsten Gillibrand officially jumps into 2020 race, teases speech at Trump hotel in New York". CNN. Retrieved March 17, 2019. ^ Stuart, Tessa (April 8, 2019). "The Teens Have Officially Convinced Mike Gravel to Run for President". Rolling Stone. Retrieved April 8, 2019. ^ Kelsey, Adam (January 21, 2019). "Sen. Kamala Harris announces she will run for president in 2020". ABC News. ^ Kelsey, Adam. "Former Colorado Gov. John Hickenlooper, touting diverse background, joins 2020 presidential field". ABC News. Retrieved March 4, 2019. ^ Dan Merica (March 1, 2019). "Washington Gov. Jay Inslee announces 2020 presidential bid". CNN. Retrieved March 3, 2019. ^ Golshan, Tara (February 10, 2019). "Sen. Amy Klobuchar has won every one of her elections by huge margins. Now she's running for president". Vox. ^ "FEC Form 2 for Report FEC-1319531". docquery.fec.gov. ^ Merica, Dan (March 28, 2019). "Florida Mayor Wayne Messam announces 2020 presidential bid". CNN. Retrieved March 28, 2019. ^ Bradner, Eric; Santiago, Leyla. "Beto O'Rourke announces he's running for president in 2020". CNN. Retrieved March 14, 2019. ^ News, V. P. R. "He's In For 2020: Bernie Sanders Is Running For President Again". Vermont Public Radio. Retrieved February 19, 2019. ^ Tolan, Casey (April 8, 2019). "Eric Swalwell jumps into presidential race with long-shot White House bid". The Mercury News. Retrieved April 8, 2019. ^ McCarthy, Tom (February 9, 2019). "Senator Elizabeth Warren officially launches 2020 presidential campaign". The Guardian. Retrieved February 9, 2019. ^ Warrell, Margie (January 29, 2019). "Marianne Williamson: Can A Presidential Bid Fueled By Love Transcend The Politics Of Fear?". Forbes. Retrieved January 28, 2019. ^ Roose, Kevin (January 10, 2018). "His 2020 Campaign Message: The Robots Are Coming". The New York Times. Retrieved January 26, 2018. ^ Grim, Ryan (November 11, 2018). "RICHARD OJEDA, WEST VIRGINIA LAWMAKER WHO BACKED TEACHERS STRIKES, WILL RUN FOR PRESIDENT". The Intercept. Retrieved December 17, 2018. ^ Grim, Ryan (January 25, 2019). "Richard Ojeda Drops Out of Presidential Race". The Intercept. Retrieved January 25, 2019. ^ Daniel Strauss; Stephanie Murray (April 18, 2019). "Moulton hires staff for expected presidential campaign". Politico. Retrieved April 18, 2019. ^ Atkins, Kimberly (March 15, 2019). "Moulton Heads To Early Primary States As He Mulls A White House Bid". WBUR-FM. Retrieved March 15, 2019. ^ "Rep. Seth Moulton likely to announce 2020 run early next week: sources". Fox News. April 18, 2019. ^ John DiStaso (April 17, 2019). "Rep. Seth Moulton expected to enter presidential race early next week". WCVB. Retrieved April 18, 2019. ^ Glazer, Emily; Thomas, Ken (March 19, 2019). "Joe Biden Tells Supporters He Plans 2020 Bid". Wall Street Journal. Retrieved March 19, 2019. ^ Dovere, Edward-Isaac (April 19, 2019). "Joe Biden Is Running for President". The Atlantic. Retrieved April 19, 2019. ^ Thomas, Ken (April 19, 2019). "Joe Biden Set to Launch 2020 Presidential Bid as Soon as Next Week". The Wall Street Journal. Retrieved April 19, 2019. ^ "Types of nonconnected PACs". FEC.gov. Retrieved January 2, 2019. ^ Traister, Rebecca (March 17, 2019). "Stacey Abrams for …. Governor? Senator? Veep? President?! The Georgian who is usually sure about everything finds herself conflicted about her future". New York. ^ Tillett, Emily (March 27, 2019). "Stacey Abrams says she's "just as capable" to become president as anyone running in 2020 race". CBS News. Retrieved March 27, 2019. ^ McWhirter, Cameron (April 4, 2019). "Both Parties Gear Up as Stacey Abrams Charts Her Next Move". The Wall Street Journal. Retrieved April 4, 2019. ^ "I'm 'very inclined' to run for president, says senator". MSNBC. March 28, 2019. Retrieved March 28, 2019. ^ Marianne Levine (April 4, 2019). "Bennet reveals he has cancer but still wants to run for president". Politico. Retrieved April 4, 2019. ^ "Steve Bullock plans fifth trip to Iowa in possible presidential bid". Des Moines Register. Associated Press. February 14, 2019. ^ Thompson, Alex (February 1, 2019). "The 2020 Democrat with a full-fledged Republican fan club". Politico. ^ Sally Goldenberg (February 11, 2019). "De Blasio heads to New Hampshire as he contemplates run for president". Politico. Retrieved February 11, 2019. ^ Dovere, Edward-Isaac (February 26, 2019). "Bill de Blasio Can't Resist Meddling in Iowa". The Atlantic. Retrieved February 26, 2019. ^ Neuman, William; Goodman, J. David; Mays, Jeffrey C. (April 5, 2019). "Is Bill de Blasio Running for President in 2020? Sure Looks Like It". The New York Times. Retrieved April 5, 2019. ^ Dovere, Edward-Isaac (March 29, 2019). "Joe Sanberg Dares Trump to Call Him a Socialist". The Atlantic. Retrieved March 29, 2019. ^ "FEC FORM 2 : STATEMENT OF CANDIDACY" (PDF). Docquery.fec.gov. Retrieved March 19, 2019. ^ "Adam Kokesh, jailed gun rights activist, to run for president". RT. July 19, 2013. Archived from the original on November 7, 2017. Retrieved November 5, 2017. ^ ""Don't vote John McAfee for President" says the John McAfee for President website". Crypto News Review. January 10, 2019. Archived from the original on January 12, 2019. Retrieved January 11, 2019. ^ "Adam Kokesh vs Vermin Supreme 2020". Adam Kokesh. May 28, 2018. Retrieved June 1, 2018. ^ "Libertarian presidential hopefuls: Now there are 2 … or 3?". Libertarian Party. July 3, 2018. Archived from the original on July 5, 2018. Retrieved July 6, 2018. ^ "Sam Seder Announces 2020 Campaign". YouTube. Retrieved January 24, 2019. ^ Henderson, Luke (December 30, 2017). "Zoltan Istvan To Run For 2020 LP Presidential Nomination". The Libertarian Vindicator. Archived from the original on January 17, 2019. Retrieved January 27, 2019. ^ Istvan, Zoltan (January 11, 2019). ""...I no longer [belong] to the party and wasn't planning on running in 2020 for the LP". Archived from the original on January 12, 2019. Retrieved January 27, 2019. ^ "Youngstown Board of Education member announces he's running for president". Wkbn.com. February 19, 2019. Retrieved March 19, 2019. ^ "Jesse Ventura Says Democrats Should Work with Him to Defeat Trump in 2020". TMZ. November 29, 2018. Archived from the original on December 7, 2018. Retrieved December 6, 2018. ^ Brandon Stroud (November 28, 2018). "Jesse 'The Body' Ventura Is Considering A 2020 Presidential Run". Uproxx.com. Archived from the original on December 6, 2018. Retrieved December 6, 2018. ^ Schriner, Joe. "Declaration Speech 2020". Average Joe "The Painter" Schriner for President 2020. Retrieved February 9, 2019. ^ Schriner, Joe. "Joe Schriner's Presidential Declaration! 2020 Vision!". YouTube. Retrieved February 9, 2019. ^ "Former "Drag Race" Pit Crew Member Announces 2020 Presidential Run - NewNowNext". newnownext.com. Retrieved February 20, 2019. ^ Kurtz, Judy (November 1, 2018). "Akon 'very seriously' weighing 2020 Trump challenge". The Hill (newspaper). Archived from the original on December 7, 2018. Retrieved December 6, 2018. ^ "Akon Envisions 2020 Presidential Run with Mark Zuckerberg as VP". TMZ. March 9, 2018. Archived from the original on July 8, 2018. Retrieved July 7, 2018. ^ Haltiwanger, John (December 8, 2018). "Mark Cuban said running for president would be the 'definition of bad parenting,' but he might go for it anyway". Business Insider. Archived from the original on December 10, 2018. Retrieved December 12, 2018. ^ Sheridan, Chris (March 4, 2019). "EXCLUSIVE: Mark Cuban might be for real about this whole presidency thing". New York Daily News. Retrieved March 4, 2019. ^ Eli Watkins; Maeve Reston; Cristina Alesci; Poppy Harlow (January 21, 2019). "Former Starbucks chief exploring independent 2020 bid". CNN. Retrieved January 21, 2019. ^ De Lea, Brittany (January 21, 2019). "Ex-Starbucks CEO Howard Schultz weighs 2020 run as independent". FOX Business. ^ John Bowden (January 26, 2019). "Howard Schultz tells '60 Minutes' he's seriously considering independent presidential bid: report". The Hill. Archived from the original on January 27, 2019. Retrieved January 26, 2019. ^ "Exclusive: Democrats, anticipating heated primary, set earlier 2020 convention date". CNN. Archived from the original on June 15, 2018. Retrieved June 15, 2018. ^ Korecki, Natasha; Thompson, Alex. "DNC picks Milwaukee to host 2020 convention". Politico. Retrieved March 11, 2019. ^ Seitz-Wald, Alex (May 9, 2018). "Eager Democrats 2020 prep: DNC eyes convention cities, debates, rule changes". NBC News. Archived from the original on May 9, 2018. Retrieved May 9, 2018. ^ "2020 Republican National Convention dates announced". WCNC.com. October 1, 2018. Archived from the original on October 2, 2018. Retrieved January 17, 2019. ^ Lesniewski, Niels (October 1, 2018) "Republicans Set 2020 Convention Date for Late August" Archived January 26, 2019, at the Wayback Machine, Roll Call. Retrieved January 25, 2019. ^ Winger, Richard "Libertarian Party Sets Location and Date of 2020 Presidential Convention". Ballot Access News. December 11, 2017. Archived from the original on December 24, 2017. Retrieved December 23, 2017. ^ Francis, Eric (December 21, 2017). "An alternative to the right/left political menu". California Catholic Daily. Archived from the original on December 6, 2018. Retrieved December 6, 2018. ^ "2019 Green Party Annual National Meeting". Green Party of the United States. December 21, 2018. Retrieved March 20, 2019. ^ Winger, Richard (August 2, 2015). "Green Party Will Hold Presidential Convention in Houston". Ballot Access News. Retrieved March 20, 2019. ^ Galioto, Katie (April 3, 2019). "Commission names 6 cities vying to host 2020 presidential debates". Politico. Retrieved April 4, 2019. This page was last edited on 18 April 2019, at 21:19 (UTC).